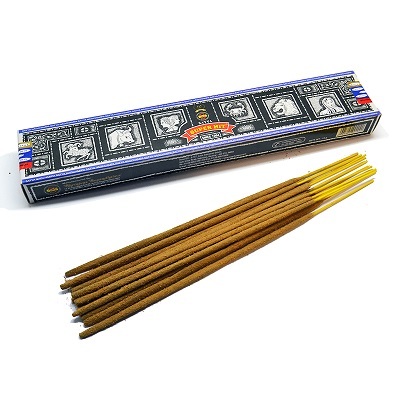 From the makers of Satya Sai Baba Nag Champa incense, comes Super Hit Incense. Known worldwide for its calming and subtle blend of flowers, spices, herbs and resins, this incense is one the most popular and best selling in the world. Although it is not over-powering its fragrance will linger for hours. it's a bit more flowery that the original blue box Nag Champa. This box contains approximately 15 sticks. Also available in 40 and 100 stick boxes.